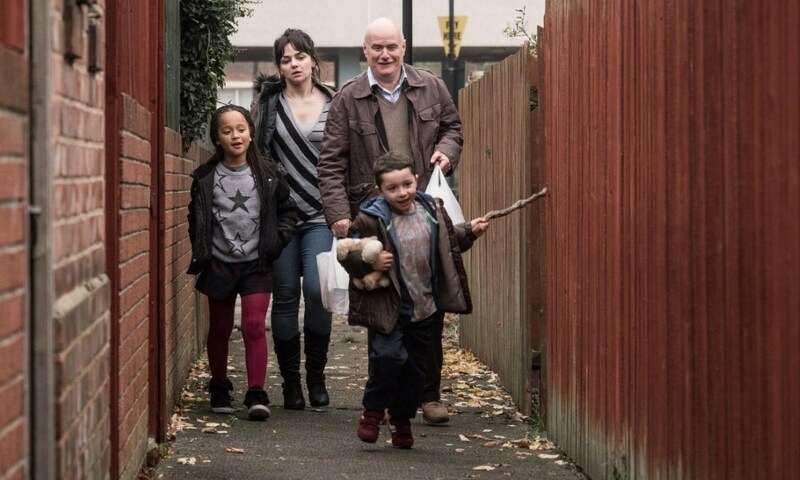 Following the disappointing period dalliance of Jimmy’s Hall, Ken Loach’s Palme d’Or-winning I, Daniel Blake is something of a return to form. It stands as a succinct and furious raging against the dying of the light, or more accurately the snuffing of the light by a privatised and punitive system more intent on lowering the figures than caring for those in need. Set in Newcastle, Paul Laverty’s script tells the story of Daniel (Dave Johns), a working-class man who, following a heart attack and a fall at work, has been ordered to stay home. The “healthcare professional”, on the basis of forms and questionnaires, deems him fit for work and withdraws his sick pay. Daniel is caught in a Catch-22 situation: if he appeals the decision he can’t claim job seekers allowance; if he claims jobseeker’s allowance, he can’t appeal the decision. Plus if he gets a job, he will be doing so against his doctor’s orders and at a very real risk of his health. The frustration of a simple and honest man caught in the false politesse – what Shakespeare nailed perfectly with the phrase “the insolence of office” – which threatens sanctions and the police at the slightest opposition, the need to forever “calm down'” at the face of absurd and naked injustice and the mindless musack of the endless phone calls to a help centre expressly designed not to help is beautifully captured and moves from comic exasperation, to tragedy, to farce and back to tragedy again. It’s in the middle of his travails that Daniel meets Katy (Hayley Squires) a young single mother who in another absurdity of the benefits system has been moved from London to Newcastle with her two children to fend for herself. Daniel finds the plight of the family even more severe than his own, and finds some relief in helping the young family, entertaining the children with his carving, and giving Katy the more practical help of mending the cistern and accompanying her to the food bank. The latter makes for a heartbreaking scene which will have only the most hard-hearted – and possibly Iain Duncan Smith – dry-eyed. Obviously this is film review and not a party political broadcast, but Loach at his finest demands that you see any ‘objectivity’ for the ideological stance in disguise that it is anyway. I, Daniel Blake is the angry response to Benefits Street and George Osborne’s divisive view of a Britain of workers and shirkers. There are moments of heavy-handedness, certainly, and some of the dialogue weighs on the side of allowing the marginalised to state their case rather than sound like convincing speech. But Loach is also optimistic in his view of a diverse Britain where the possibilities of solidarity and anger simmer only just under the surface. The food banks are awful, but the women working there are sympathetic and there is generosity here, with even the functionaries of the system suffering from the ironies inherent in their position. The system is inhumane, but occasionally people will surprise you.